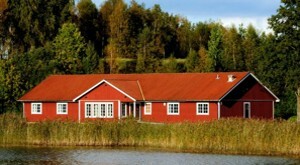 Surrounded by nature only 5m from lake Stora Nätaren and not far from road 132 between Jönköping and Aneby, lies Bed & Breakfast "Brovillan". Whether you're just passing through or have come to spend your family holiday here, the cozy and hospitable atmosphere makes you want to stay! Our big group & common room not only offers more room for our guests - it's also the perfect place for seminars and meetings with smaller groups. Beside the group room, seminars guests can also enjoy group outdoor activities that can be held outdoors in our big barbecue & Indian tent (tepee) with room for up to 20 people. Among our 10 individually decorated rooms with TV, internet, refrigerator, private shower and toilet every guest can find what suits them. 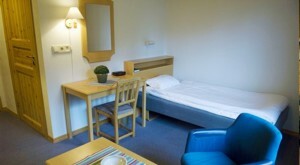 Single room, double room or a family room with a sofa bed for the children; everyone can enjoy the peace here. 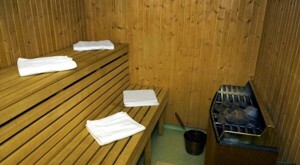 As a part of your relaxed holiday you can use the sauna free of charge during your stay at Brovillan . Do you want to relax completely? Then please visit our sauna and let your body and mind wind down before ending the day with a barbecue evening enjoying freshly caught fish from Stora Nätaren in our big barbecue & Indian tent. August and September is the crayfish season - we like going crayfishing with our guests in groups of up to 9 people and afterwards you're invited to a typical Swedish crayfish party ("kräftskiva") and an evening full of fun and high spirits. This will definitely be an unforgettable experience for the whole family! 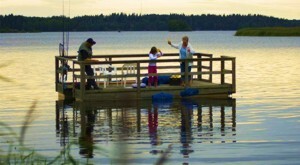 The lake Stora Nätaren is an insider tip when fishing for zander. At Brovillan you'll get the necessary fishing permit, a boat if you need one or even a local fishing guide. Day cards cost about 50SEK and month cards 200SEK per person - we can also arrange special group offers on request. 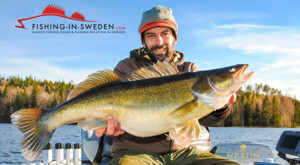 More information about zander fishing in Sweden can be found on the following link. 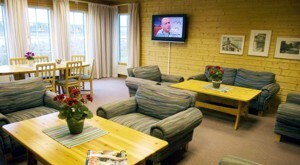 Using the search form below you can directly check if there are still free rooms in the Bed & Breakfast Brovillan near Jönköping in Sweden for your requested period. Please start by choosing your desired arrival and departure dates and number of guests, and then click "Search". You will be able to see all the available rooms in our Bed and Breakfast at lake Stora Nätaren near Jönköping together with the price. If you have problems using our search form please contact us through our contact form.